The winter of 1963 was the coldest winter of the century in the UK, at a time when post-war austerity and social class divisions made for a miserable life for many people. These were the days of back boilers, bubble and squeak, paraffin oil stoves, gas works, steam trains, and starting handles. The 1960s technological and social revolution hadn’t happened yet. Ronnie and Jenny Delaney live in the south coast town of Poole, close by the gas works. They get by - Jenny works in the local pottery and Ronnie runs a paraffin delivery round, helping to keep his grateful customers warm. But then something unexpected turns up on the paraffin round: an eyeball. It doesn't take Ronnie long to work out that it's got something to do with his past as a small-time crook, back in the East End of London. Someone's messing him about. He can handle it. Or so he thinks. We will send Paraffin Winter to your Kindle at . 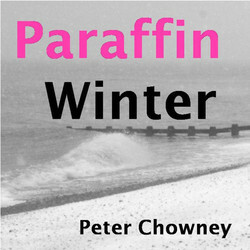 Paraffin Winter has been sent successfully to your Kindle!